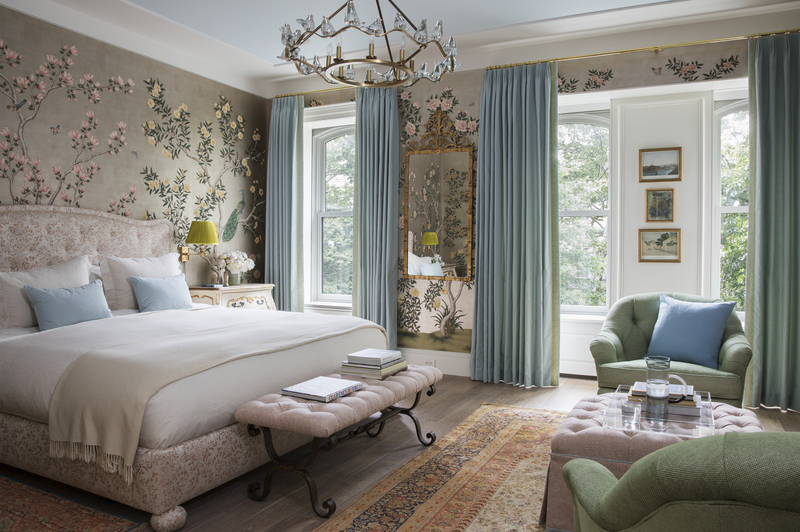 Vintage architectural elements might not make the top of every renovation resource list, but for those who want their space to tell a story, they should. 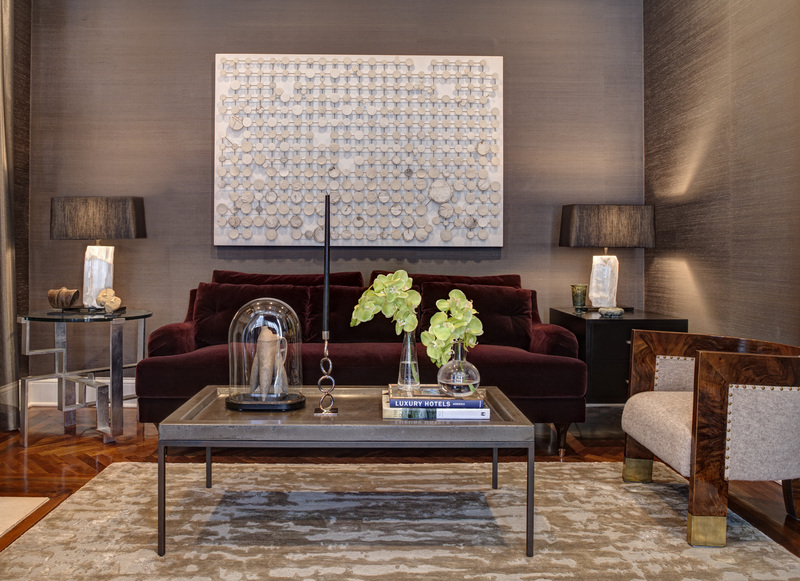 Antique materials bring a higher level of quality, craftsmanship and authenticity to a project. Plus, they’re already proven to weather well. 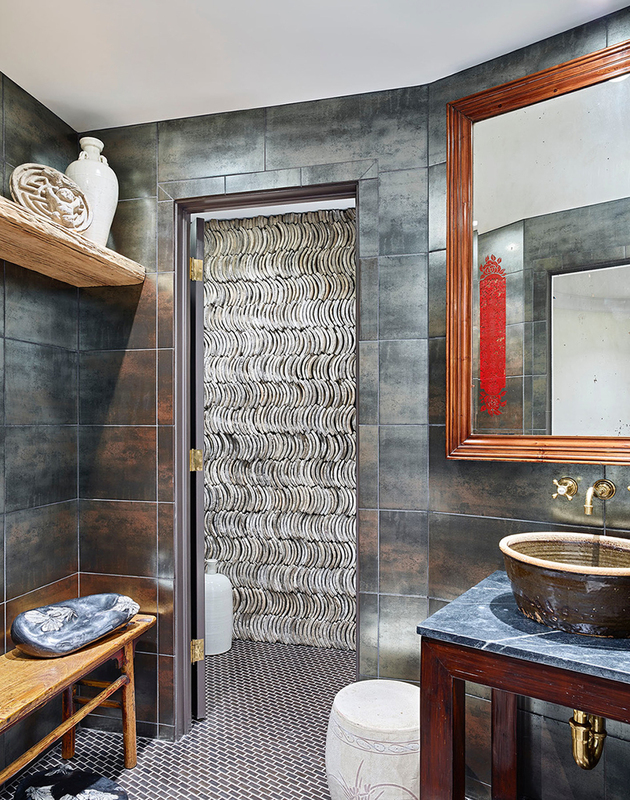 Whether using a 19th century door for its original purpose, or tiling a wall in Chinese ceramic roof shingles, designers inspire us by bringing together ancient and modern elements in kitchens, baths, interiors and gardens. Here are a few of our favorite antique materials, used in surprising new ways. Abt Inspiration Studio by Mick De Giulio. Image: Dave Burk, Dave Burk Photography. Combining old and new creates a texture that makes a kitchen unique. 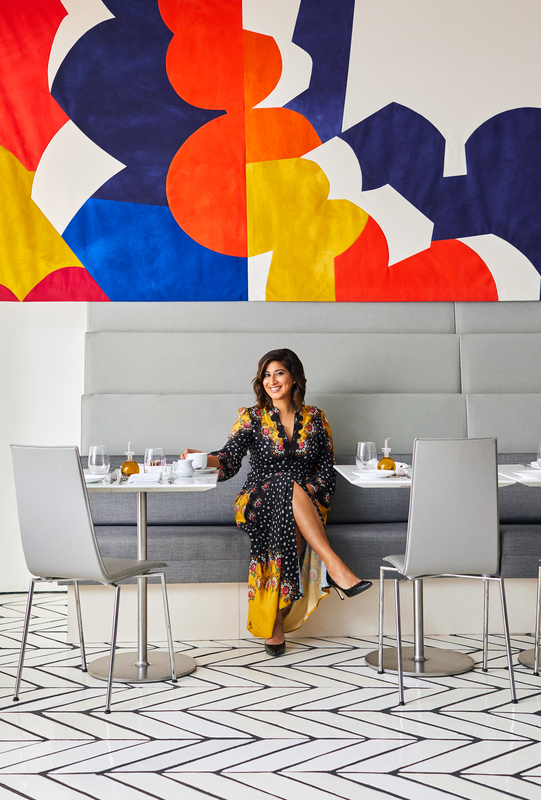 I think of it as creating a dissonance — and sometimes a tension — in the space. When combining, I think about proportion as well as form, balance and composition. There is no right or wrong to an idea. If it feels right, it is right. Antique Roof Tiles from the PAGODA RED Collection. Made from ceramic that was originally crafted to stand up to weather and wear, roof tiles work well in kitchens, bathrooms and entryways. 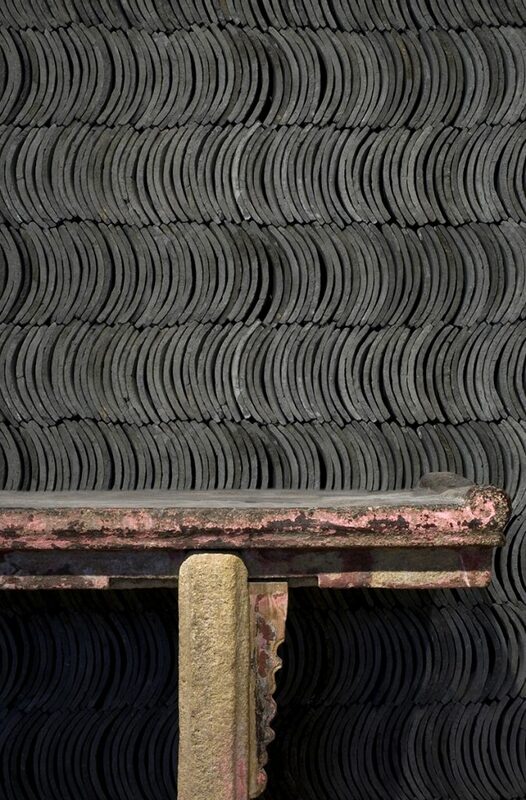 These practical, putty-colored tiles have long been a staple of Chinese building. Since ancient times, homes, government buildings, and temples in cities and rural areas alike were covered in tiles like these. 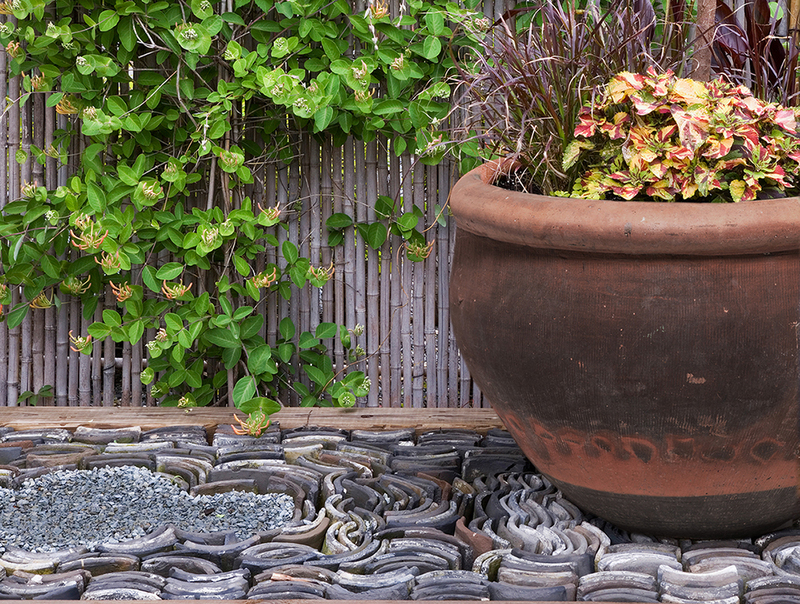 Indoors and out, the possibilities for using reclaimed roof tiles are endless. At PAGODA RED, they form a new kind of walkway. 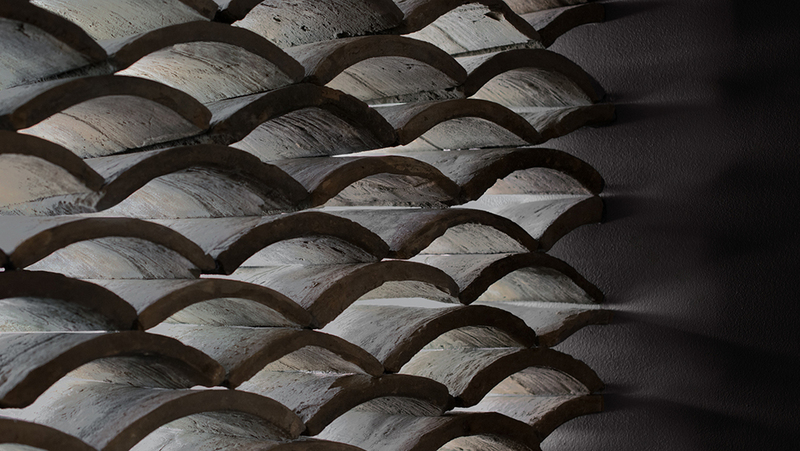 Framed by a wooden bed, the roof tiles create patterns punctuated by gravel. They can also be used in the garden to build edges, dividers and retaining walls. High-Rise Residence by Anthony Michael. Image: Jacob Hand. In this installation, we’re concealing an unsightly closet. It’s the first thing one sees upon entering the residence. 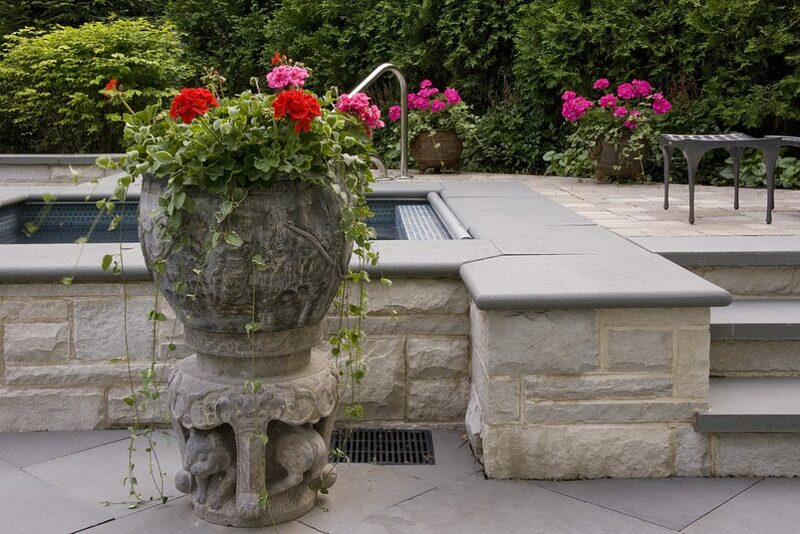 We wanted the homeowner to be greeted with a stylish, functional architectural element. I love using found or architectural items in an unique way. It gives an installation interest, while bringing a bit of the past into today’s lifestyle. Antique Chinese screens in a North Shore bedroom. Image: Allison Knotts. 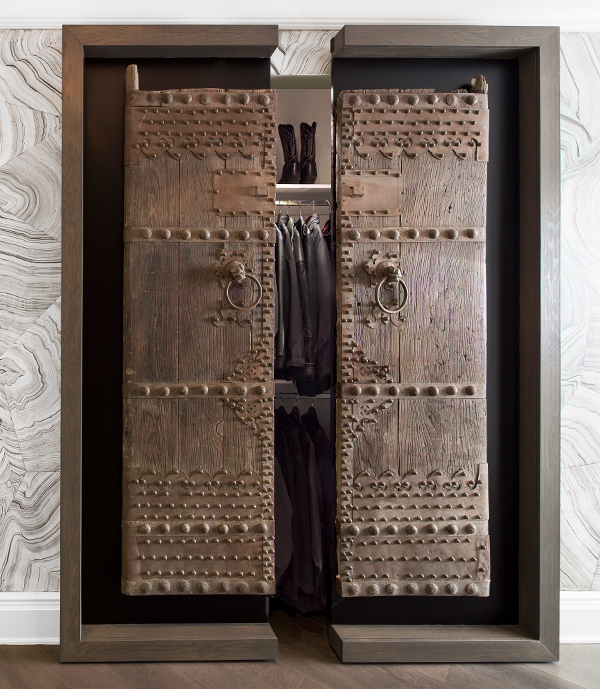 The right door can make any basic closet, bar or alcove into a room’s main attraction. 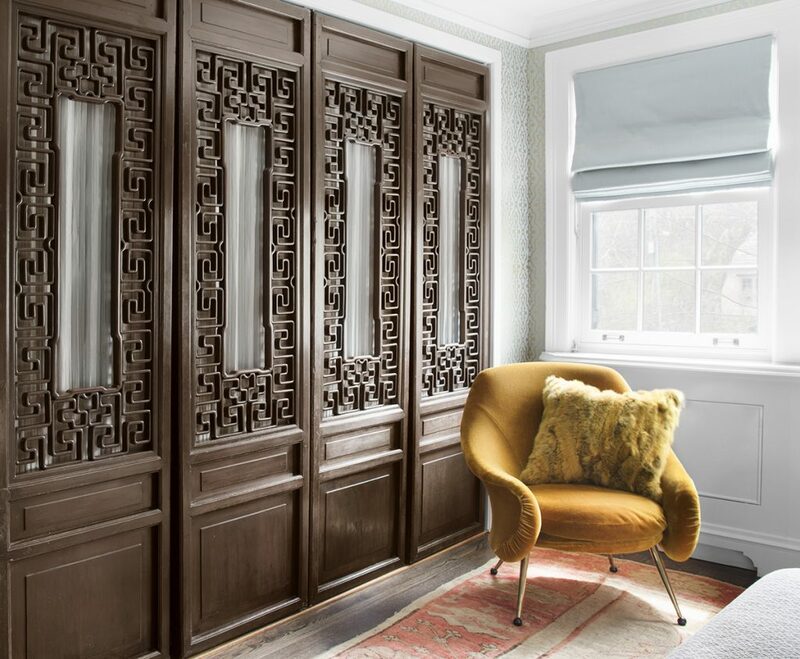 Antique Asian screens and doors are particularly well-suited to modern spaces, since the wood tones and handcarved details warm up a space without sacrificing clean lines and a contemporary aesthetic. Antique Chinese screens in a North Shore guest bedroom. Image: Allison Knotts. 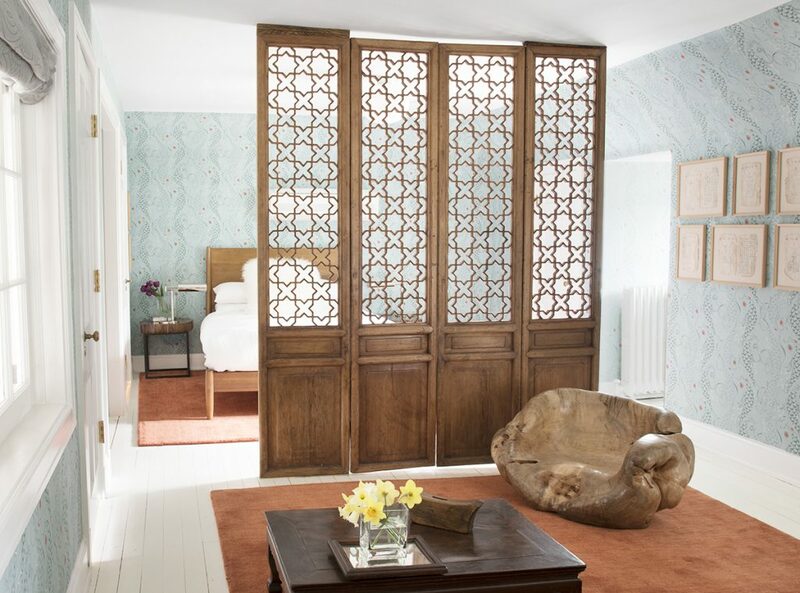 Antique doors and screens also make ideal room dividers, either attached to sliding door hardware or fixed in place. Chinese courtyard doors were often made with lattices that allow light to filter through while still creating privacy. 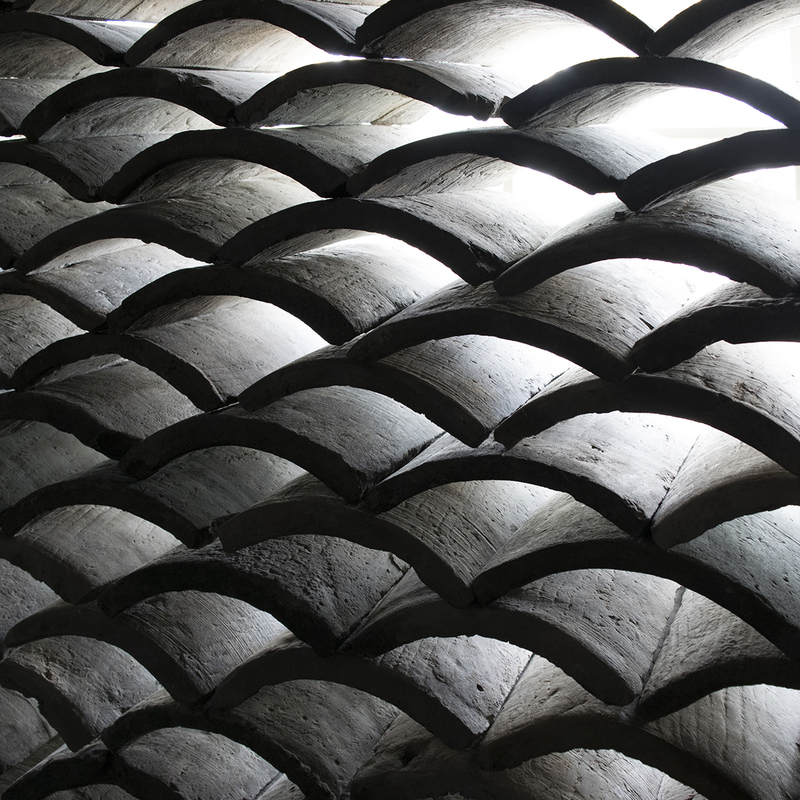 The shadows cast by light filtering through a lattice are unlike any other. 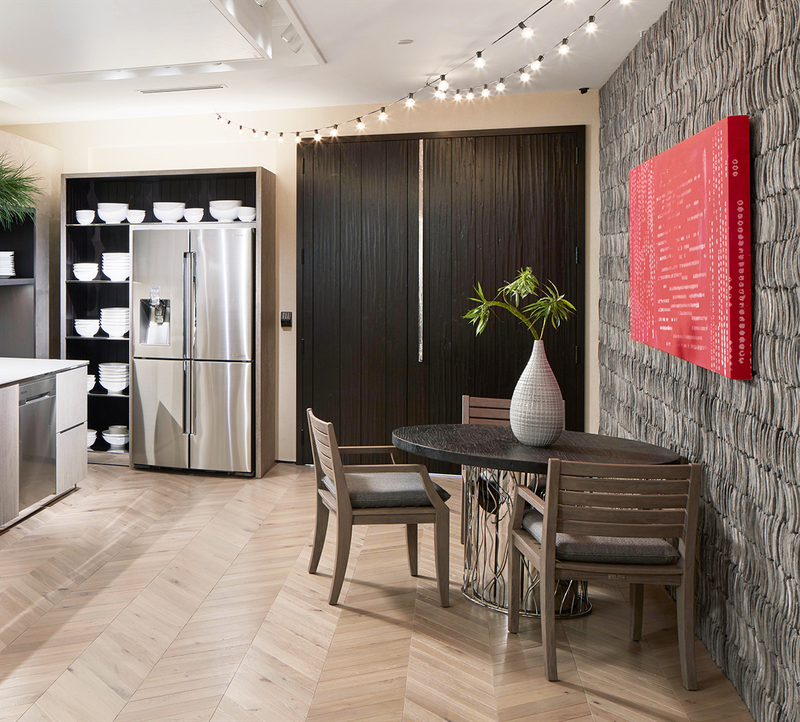 Living with these doors, you come to understand their unmatched ability to transform a room. Chicago Home Magazine, James Martin & Associates, Danilek Residence, Winnetka. Image: Linda Oyama. I love art, and I especially love it in the garden. I think size and scale are extremely important. You’re less restricted to scale outdoors than indoors, but I feel art should be an unexpected surprise and really create a balance in the landscape. Terrace by Suzanne Lovell. Image: Courtesy of Suzanne Lovell, Inc.
An east-facing lava stone Bodhisattva keeps watch over the house’s spirit from the rear terrace. Various elements create the sense of a true and sheltering, if pleasantly porous, room in what had been open space. 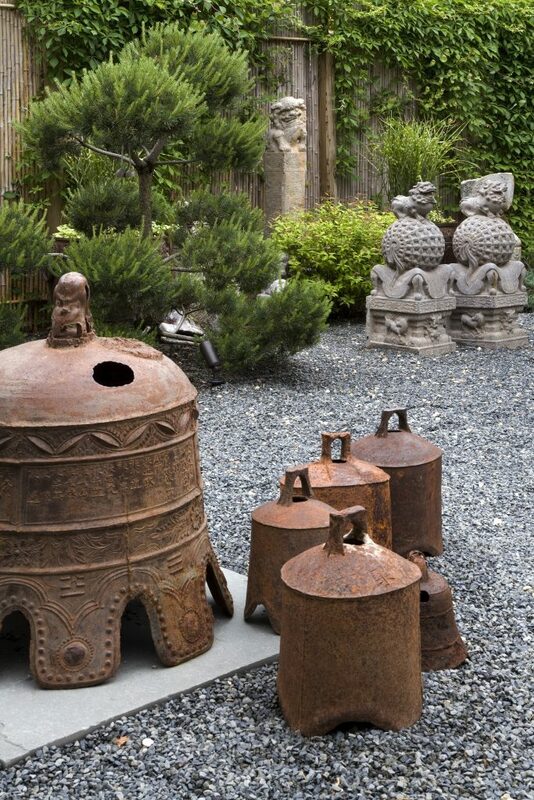 Antique Stone & Metal Sculptures in the PAGODA RED Garden. Image: Linda Oyama. PAGODA RED’s own garden is an exhibition area for sculptures, stones and architectural features. 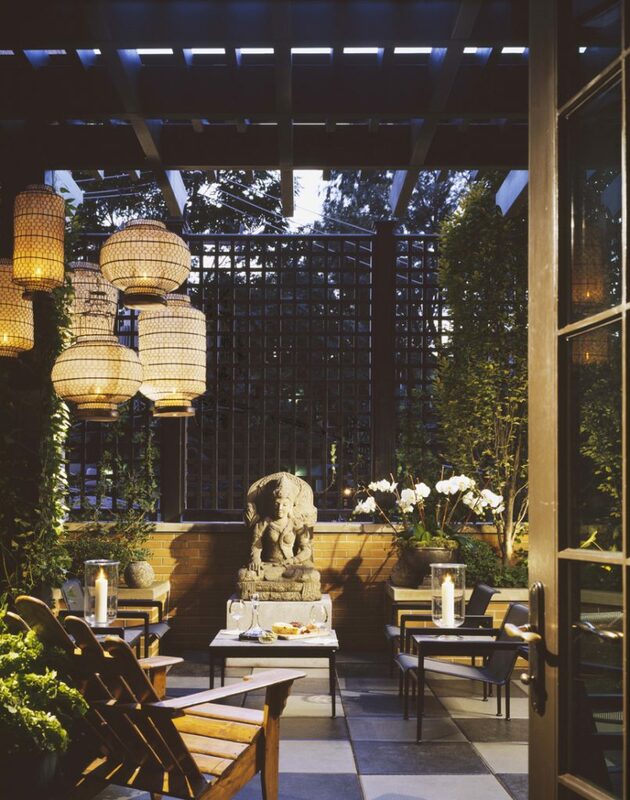 Stone fu dogs guard the space, antique planters hold beds of flowers and greenery, and stone posts demarcate different zones. Paired with simple gravel paths and bamboo fencing, ancient artifacts ground the garden and create its rich, storied sensibility.